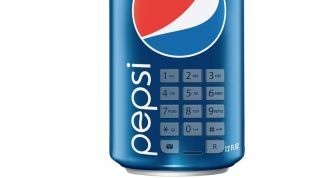 This is a strange one, it looks like the Pepsi smartphone may actually be a thing. An official Weibo account was set up last week, and now a separate rumour has provided some specs. Talk out of China has shared with us some specs from the new phone and it looks surprisingly OK with a 5.5-inch 1080p screen, a MediaTek MT6592 system on a chip and 2GB of RAM. According to the leak there will also be 16GB of storage (it's not confirmed for microSD support but we'd expect it to have some), 13MP camera and a 5MP selfie snapper. Android 5.1 software will be pre-installed – there's no word on a Pepsi fizzing style overlay just yet – and we expect a 3,000mAh battery will be there to get you through the day. October 20 looks to be the launch date for the phone as well with a rumoured event in Beijing - pretty much confirming the phone will be a China exclusive. Now it's obvious that Pepsi hasn't developed this phone itself – instead it's gone to one of any number of Chinese manufacturers and sponsored a phone in an attempt to build on the already well known brand. The real question is, why would you ever want to own a Pepsi branded smartphone? If it's not going to give you any clear benefits apart from that red, white and blue logo on the back it's a strange choice.